J?rmala ( "seaside"; German: ) is a city in Latvia, about 25 kilometres (16 miles) west of Riga. J?rmala is a resort town stretching 32 km (20 miles) and sandwiched between the Gulf of Riga and the Lielupe River. 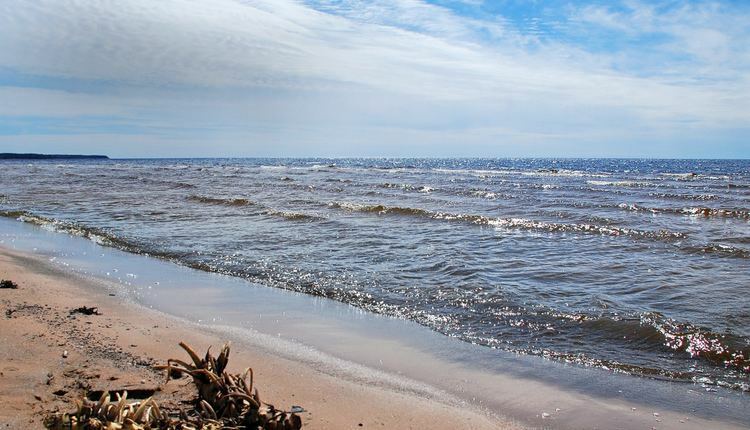 It has a 33 km (21 miles) stretch of white-sand beach, and a population of 55,580, making it the fifth largest city in Latvia. While Latvia was part of the Soviet Union, J?rmala was a favorite holiday-resort and tourist destination for high-level Communist Party officials, particularly Leonid Brezhnev and Nikita Khrushchev. Although it has many amenities such as beach-houses and concrete hotels remain, some have fallen into disrepair. J?rmala remains a tourist attraction with long beaches facing the Gulf of Riga and romantic wooden houses in the Art Nouveau style. Imants Ziedonis, one of Latvias most important poets and folklorists of the Soviet and post-Soviet eras, was born in J?rmala district. Visitors can access J?rmala from Riga by suburban rail (30 min) or along the highway by car (20 min). Since 2008 J?rmala and Riga airport have been connected by a bus service. Visitors with private vehicles must pay 2 euro for each day spent in J?rmala. In publications dating from the Soviet period, the city name was occasionally spelled in English as Yurmala, a back-transliteration from Russian. The city of J?rmala actually consists of a string of small resorts. From west to east, these include ?emeri, Jaun?emeri, Sloka, Kauguri, Vaivari, Asari, Melluži, Pumpuri, Jaundubulti, Dubulti, Majori, Dzintari, Bulduri and Lielupe. The area now comprising the city of J?rmala was formerly part of Riga, known as R?gas J?rmala. Some parts of the area, like Sloka and ?emeri, have been known as health resorts for centuries. J?rmala was once known in German as Riga-Strand, or "Beach of Riga". J?rmalas reputation as a spa destination began in the late 18th and early 19th centuries. Wealthy landowners began the tradition of relaxing at the seaside, and Russian army officers came here to rest after the Napoleonic Wars, returning later with their families. The peak of the J?rmala areas development was the opening of the Riga - Tukums railway in 1877 (which still passes through J?rmala) that gave a great boost to the numbers of visitors, and thus a boost to the development of the town as a resort. J?rmala also gained a reputation as a health spa. The sea breeze, pine aroma, mineral springs, and sandy beach encouraged many sanatoriums to develop within the city. In Soviet times J?rmala was popular with the Communist officials because of its beach and sanatoriums - holidays were also given as rewards for top union members. It became one of the most popular holiday destinations in the whole Union. The spas offered facilities from mud baths to riding therapy and hiking in the woods. In summer there are many concerts. J?rmala gained official status as a city in 1959. The railway line became electrified and today it features the most regular train service in Latvia. Whereas Riga has advanced rapidly to embrace and cater for growing numbers of Western tourists, J?rmala has lagged behind. Russians are now subject to strict visa requirements and its beaches have yet to attract significant numbers of Europeans, leaving the tourist industry with a hard task on its hands. However, during the past few years, J?rmala has started to recover. 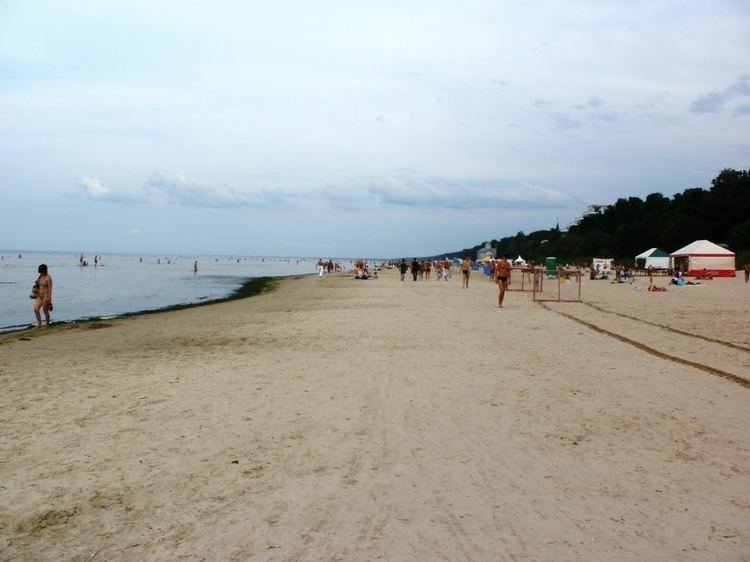 Many Russian celebrities, successful businessmen and others have been buying houses near the beach, and lots of different festivals and other activities have brought more and more people to the town each summer. At the moment, J?rmala has almost achieved the popularity that it experienced by the Soviet elite. The main beach at Majori and another at Bulduri now bear blue eco-flags signaling their safety to swim in, and the Latvian Academy of Science boasts a hotel for its members in the town. There is also the Midsummer Festival in June, celebrating the longest day of the year. The Jaunais Vilnis New Wave (competition) music festival showcases the latest music from all over Europe. The Lonely Planet guide to the region states that it is one of the highlights of Latvia. During the Soviet era, J?rmala was a venue for various festivals, including the pop music festival "J?rmala" (1986–1993). Since 2001 J?rmala had hosted a competition for young pop singers, "New Wave", from all over Europe. It also hosted the "Singing KiViN" event each July. Due to the ban on Russian media personalities entering Latvia, both competitions were moved from J?rmala. The J?rmala International Piano Competition, arranged by the City Council and the Latvian Piano Teachers Association in collaboration with the Ministry of Culture of Latvia, for pianists of all nationalities aged 19 years and under, was established in 1994 and is held every two years in the "Dzintari" concert hall. As the International Academic Music Competition (with various categories) it reached its 11th Season in 2010.